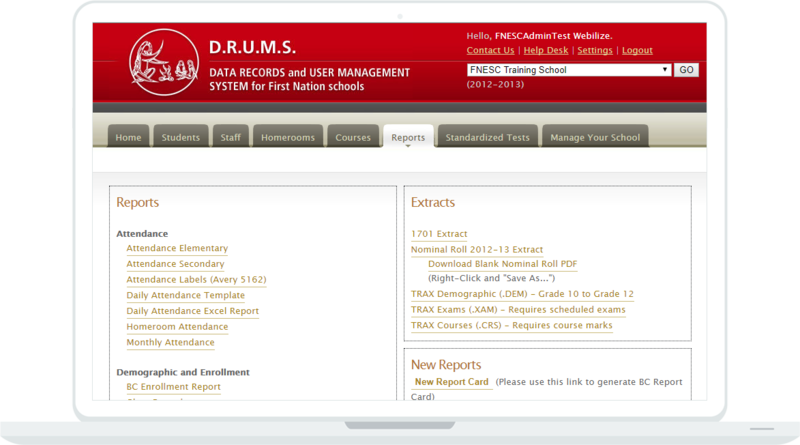 DRUMS (Data Records and User Management System for First Nations Schools) system is used throughout British Columbia by more than 70 First Nations schools. 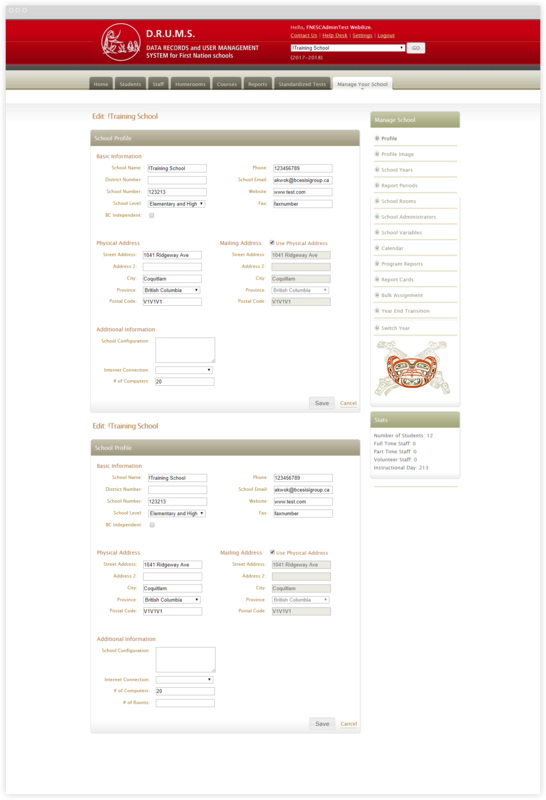 Our team built the FNESC this custom application to help educators execute their day-to-day school activities with ease. The Webilize team has been working with the FNESC for more than 5 years and we are proud to help them provide excellent service to their schools. DRUMS required a custom application built and maintained by the Webilize team. The application itself provides tools for educators to help organize course management, student management, attendance and report cards.